To maintain your transmission filter, this kit provides you with 6 liters of ZF Lifeguard Transmission Fluid, a transmission filter with gasket & pan, and a fill plug for complete fluid replacement. This kit is specifically for the LR3 (2005-2009) with a V8 engine. It is recommended that this service be performed every 90,000 miles. 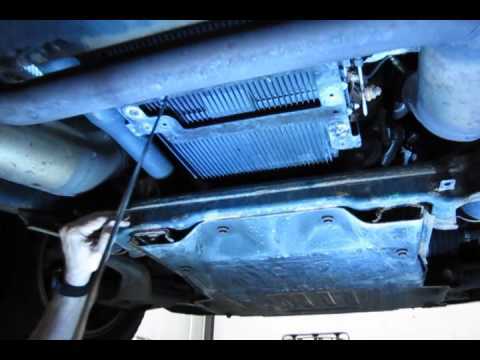 Atlantic British Ltd. Repair & Maintenance Academy How-To Video:Watch Doug, our Land Rover Master Technician, give an overview the process involved in replacing the transmission filter for a 2005-2009 LR3. Using money-saving kit # TRANSM100SKA, which comes with 6 liters of ZF Lifeguard transmission fluid, transmission filter with gasket and pan, filter plug,and an automatic transmission valve sleeve, it is recommended that this service be performed every 90,000 miles. Please Note: While part number LR007474, is used on Range Rover Full Size models, the process for this service differs from LR3 to Range Rover Full Size. Please note that there are parts mentioned in the video not included in the kit that you may want to replace for the service, those part #s are exhaust gasket #WCM100460L and # TYP500050 pan bolts (21 required). Questions about this video? Call us at 1-800-533-2210.